I feel like I bad blog Mom. I totally forgot my 1 year blog birthday! It was the 14th. Apparently I was too busy doing headstands to remember. Either way, happy birthday to me! I plan to celebrate by eating Chunky Lola Cookie Dough later tonight. But in all seriousness, when I started this blog 1 year ago I had no idea that it would be such a big and wonderful part of my life. Through my blog I’ve been connected to an amazing community and some great people. I’ve been inspired to run longer than I ever thought I would run and I’ve challenged myself to cook things like homemade pasta and baklava. Here is to another great year of blogging! 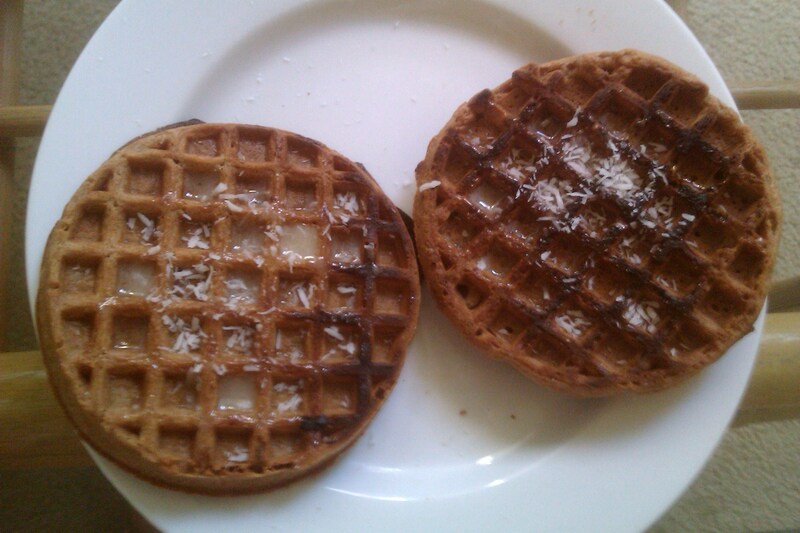 I have a ton of leftover coconut and I’m having a good time finding new ways to incorporate coconut into my diet. I’m thinking my next use will be a tropical smoothie. After breakfast I went to the FM and then took a walk along the coast. 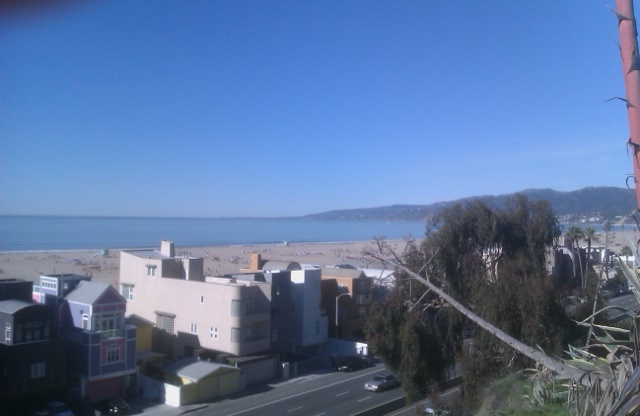 83 and sunny on January 15th. I love this city. Then I explored a new to me LA landmark: The Brentwood Country Mart. You might know the Brentwood country mart because Sean Penn beat up a pap there about a year ago. I always run by it but I never go in so I decided to explore a little bit on my way home. I poked into some great stores including a wonderful book store which I will have to return to. Also, there clearly needs to be a stop at the Sweet Rose Creamery in the near future. 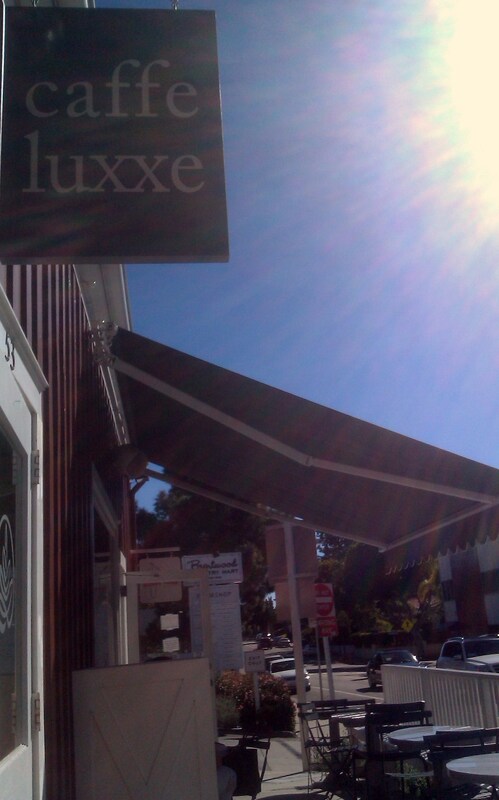 I finally settled at Caffe Luxxe which I have read is one of the best coffee shops in LA according to Laist. The interior of Caffe Luxxe is small, but very cute. There was literally no one there when I arrived which was mildly shocking for 10 am on Saturday. The menu is small and they are known for having great coffee so I didn’t mess around with anything fancy. I just got a non fat iced latte. The coffee is more costly than Starbucks but, in my opinion, it is much better than Starbucks and thus worth the price. 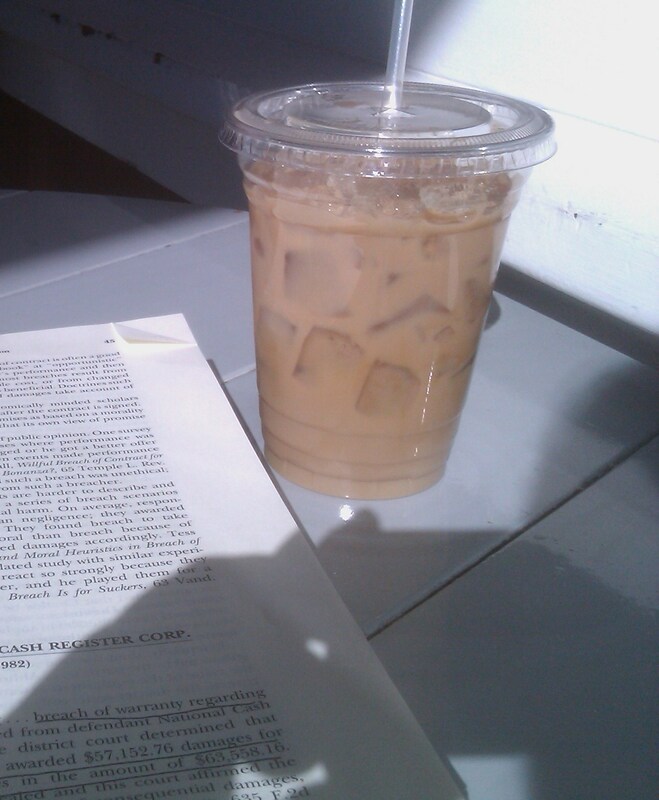 Again, because there were very few people at Caffe Luxxe I was able to snag a shady study spot. Remedies for security regulation fraud is boring (sorry to those who find it engrossing) but this latte was tasty and made the reading tolerable! One of the best lattes I’ve had in all of LA. With plenty of free parking I foresee this becoming a regular hang out for me. Now I am watching the Golden Globes and tweeting about it. As you may know, I love award shows so this is kind of like a super bowl playoff game for me (we all know the Oscars are the main event). Hope your enjoying the show! I went to Brentwood for the first time on Friday for an exercise class and realized how badly I need to go exploring over there. 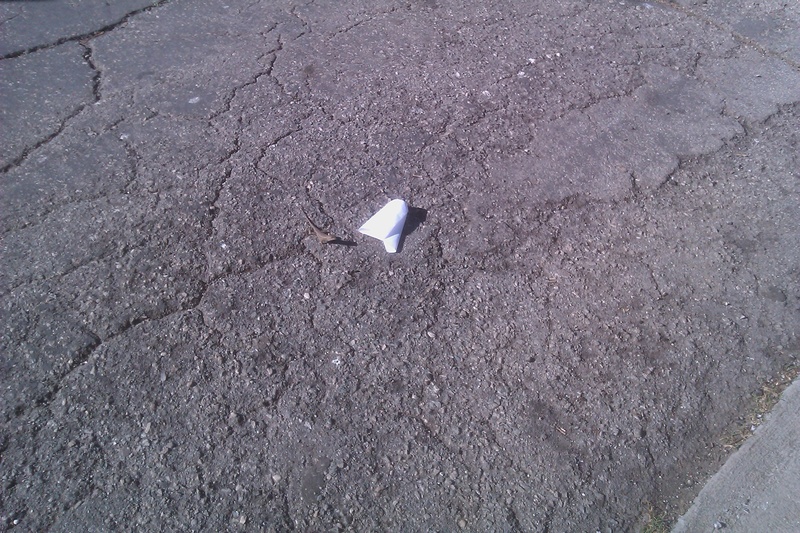 What a cute area of town! What did you think of the Globes last night? I thought it was good stuff! I love watching award shows and feel like the Globes is one of the best ones because how chill it all seems. Seriously, how spoiled are we with the weather? I can’t imagine living anywhere else. congrats on your blog birthday! i love seeing all the sunshine/beach photos on the LA blogs. we’re so lucky!! !